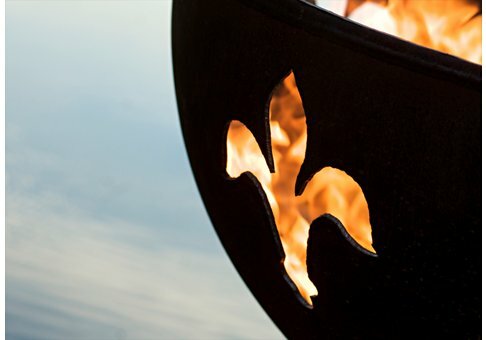 This classic symbol of the French Monarchy sets the standard for show casing your hospitality and elegance to your friends and family with this Fleur de Lis Carbon Steel Fire Pit. 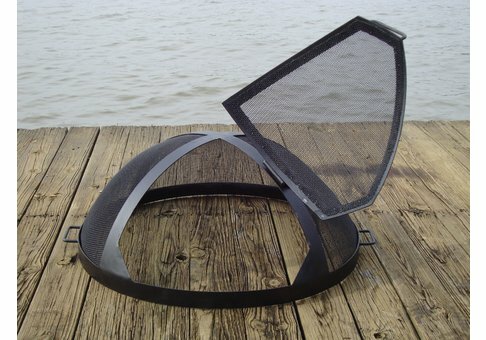 The original design is made to order by Tennessee craftsman in the heartland of America. 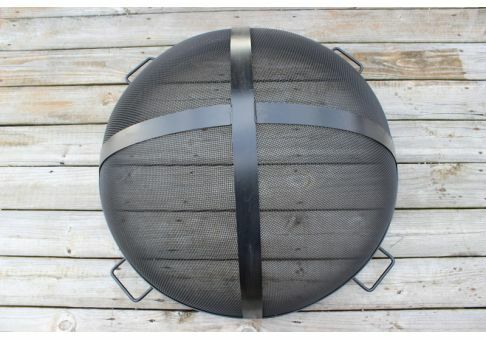 It is constructed from heavy duty thick mild carbon steel and the inner bowl has a high temperature resistant coating and comes with a 1 1/2" diameter rain drain. The outer iron oxide patina is maintenance free and the fire pit can be left outside in all weather conditions. 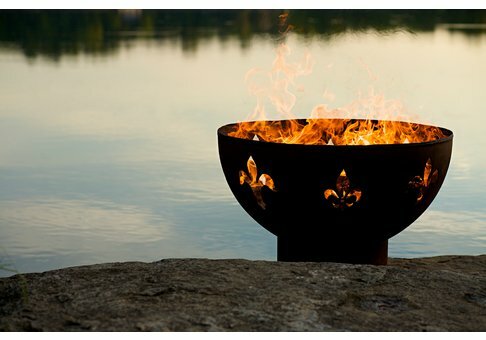 Over time and use the patina will mature and darken a few shades and then remain permanent forever. 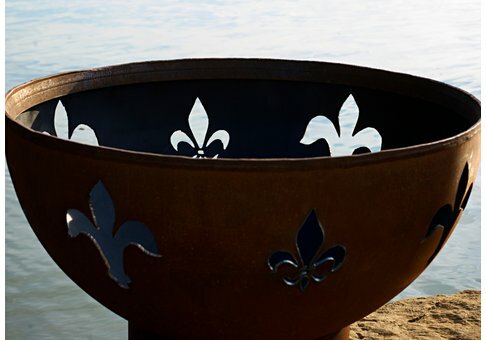 Each unique fire pit is individually numbered by the artist on an attached brass plaque.